Anyone in our industry can tell you Microsoft Licensing is just not simple. We aren’t afraid to admit that even we get confused sometimes. Then, then there are those (maybe not so urban myths) of two different people from Microsoft giving two different answers to the same licensing question. We love their software, but sometimes, they just don’t make it easy! Explaining the best approach to our customers is a weekly exercise, and so this article will be a great starting point for our customers to understand the options. 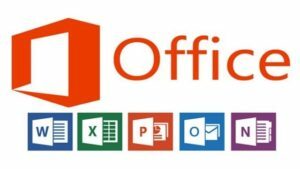 There are four primary ways that you can buy Microsoft Office, and the best way really depends on your needs. Although we are seeing that utilising one of the Office 365 plans we outline is the preferred option in many of cases. OEM MS Office – Quite often this is the type of license sold when you get Microsoft Office with a new PC. It’s an upfront once of cost and it’s a license just for that PC, and the specific version that you have purchased. You don’t have any upgrade rights, and it can’t be installed on a terminal server (whether that be on premise or in the cloud). Open License – Microsoft Office via an Open License can be purchased with or without software assurance. An Open license is a once off purchase, and isn’t locked to a specific PC. An organisation needs to have the required number of open licenses as they have Microsoft Office users. Open licenses can be installed on an On Premise Terminal server, Licenses can be moved or installed on new PC’s and laptops if required. SPLA Licensing – SPLA licenses are a specific type of license generally used on virtual cloud servers (but not always). It stands for Service Provider License Agreement, and with a SPLA license each user license costs an amount per month.. The number of SPLA licenses can be changed from month to month as requirements change and you always have rights to the latest version of Microsoft Office. Office 365 Office Pro Plus or E3 Plan – The two plans that we outline here. Both come with license rights to the latest version of Microsoft as long as you continue your subscription. There is no upfront purchase, and each user can install up to 5 copies of Office on their various devices. The licenses can also be installed on a terminal server environment whether on premise or via virtual server on Microsoft Azure. The E3 plan comes with a bunch of other benefits from email hosting to other Microsoft applications that make up its Office 365 suite of products. We believe it offers the best value for money for many of our clients situations. As Windows Server 2016 is the latest edition of Windows Server and almost all of our customers will run on the standard edition, we will explain the licensing on this version. The first thing to understand when purchasing a Windows server license is that the licensing is based on the number of CPU cores in your server and you also need to purchase client access licenses for each user or device that is accessing the server. Server Processors (CPU’s) have cores on them, think of each core like an individual engine, the more cores on a CPU, the faster it is (generally speaking). This Core-based licensing requires all physical cores in your server to be licensed (the number of cores you have in a virtual server is irrelevant). So if you have 20 cores across 2 CPU’s but are only using 4 of those cores on a virtual server at present, it doesn’t matter, you still need to license all of them. A minimum of 8 core licenses is required for each physical processor in your server (even if it only has 6 Cores) and a minimum of 16 core licenses is required for each server that you have (even if it only have 1 CPU and 8 Cores). So what does that all mean? You need at least 16 core licenses no matter what your server actually has, unless you have more than 16 cores, then you need more. Core licenses are sold in packs of two. You must buy a minimum of 8 packs per physical server that you have. The Standard Edition of Windows 2016 Server provides rights for up to 2 separate installs, so you can run 2 virtual servers per physical server for each 16 core license that you have. If you wish to license more than 2 Virtual Servers on 1 Physical server ,all Core licenses need to be purchased again. And don’t forget! You also need to purchase the device or user CALs for each device or user connecting to the server. Most of our clients operate a Windows Server as a Terminal Server or now known as a Remote Desktop Server (either on premise or in the cloud with Microsoft Azure). This allows users to remote into the server and receive a remote desktop with access to their business applications from anywhere they have internet access. To operate a Windows 2016 Server as a terminal server, you must also purchase Remote Desktop Licenses for each user that will be connecting to the server. There are 4 main ways that Microsoft SQL server can be licensed. Once again the right licensing options depending on your specific situation. The 4 options for Microsoft SQL Licensing are Core licensing, Server + User Cal licensing, SPLA licensing and a Microsoft Azure SQL Server. Core Licensing – SQL Core licensing is where you license SQL Server based on the number of CPU cores that you have in your server, much like Windows Server we outlined above. Licenses come in 2 core packs and you must have a minimum of 4 core licenses (whether you have 4 cores allocated to your server or not). This license type is an upfront once off purchase and is generally used in a virtual server environment where you can allocate the number of cores to your SQL server appropriately. Core licensing generally becomes cost effective when you have more than 20 users that will access data from the SQL server one way or another, or you are planning to grow the number of user over 20 in the near future. There are no upgrade rights to newer versions of Microsoft SQL with core licensing. Server + User Cal Licensing – This type of SQL licensing isn’t effected by the number of cores in your server, but as suggested the number of users that are using applications that access the SQL server. First you need to purchase the SQL server license, and then a user cal for each user that will be accessing the data on the sever. This licensing type is an upfront purchase for both the server license and the user CALs, and does not come with any upgrade rights to new versions. As mentioned above ,it can be the most cost effective way for clients to license SQL server for an On Premise server. SPLA Licensing – Service Provider License Agreement licensing for Microsoft SQL Server, is generally used when licensing SQL server on a hosted virtual server. Whether this be on Microsoft Azure, or another cloud hosting solution, it’s a monthly fee per month per user, and can be changed from month to month should your situation change. Under SPLA licensing you are always entitled to the latest versions of the software. Microsoft Azure SQL Server – Another option is to use Microsoft Azure for your Virtual SQL Server, and you can commission a virtual server that includes a SQL core license with it for a monthly subscription cost. This can be a cost effective solution for clients with around 20 users, otherwise individual SPLA licenses can be used on a Microsoft Azure license without a Core SQL license. We provide this article as an introduction for you to understand the options on the common Microsoft Licenses that we provide you, but as always if you require further information and would like to discuss your situation in more detail don’t hesitate to contact us on 1300 720 767 or via our normal contact email addresses.